Backlight lets your motives and ads shine – conspicuous at a distance, also under conditions of poor environmental lighting. The achte frame system can deliver construction sizes, which would be honerous to achieve with acryl. We already manufactured light boxes size 3 x 9 meters. You can obtain special effects, e.g. 3D, by using an interlayer. Even overlarge sizes pose no transport problems. Lighting through tubular fluorescent lamp T8 mounted in a unique patented construction. The diameters of achte frame systems enable high, unsupported constructions. An extraordinaty eight meters of vertical development are possible. The combination of robust supports, low weight and high torsional stiffness make our frame systems ideal for such large-scale displays. The easy handling during dismounting images allows change within minutes. Ashlars, cylinders, triangular forms, columns and even archways with your corporate design are highly attractive ways to frame your presentation. You can implement almost all 3D forms with achte frame system. From cube to a stately archway you may have it. Our profile constructions allow development in all directions. Round forms are within reach. Our most frequent applications include over-sized and prestigious 3D columns and archways. No other system enables such easily transportable and large-sized constructions. No visible frame distracts attention away from the central motive or ad – simply ideal for fairs and presentations. Talk to us about your idea. We make it happen! and a commitment to realise even exceptional projects and products is our motivation. 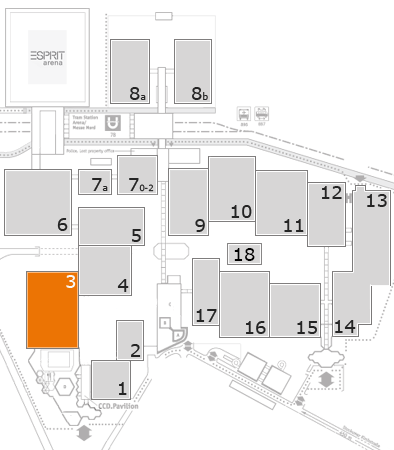 We, that's about 40 specialists in exhibition stand construction, metall processing, print, graphic design and administation. achte display system GmbH has been founded end 2009 by Claudia Nauen and Volker Hoeber, primarily to produce big pics for fairs and sales displays supported by the matching achte frame system. The portfolio of our products includes visuals with simple frames, illuminated displays and three-dimensional objects, such as cubes. We also offer walls or paravents as dis or product displays.